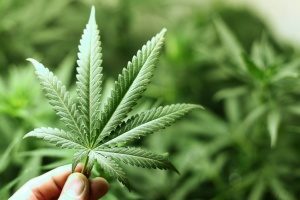 What Does Cannabis Insurance Cover? Insuring your cannabis operation is your best defense against costly liability claims. Whether you are a small or large dispensary, having the right types of insurance for your high-risk business can make all the difference when faced with a complicated lawsuit. As general liability insurance does not always cover companies in the cannabis business, it is important to seek the help of a professional cannabis insurance broker to ensure that you acquire the coverage you need. Learn more about cannabis insurance, what it covers, and what other add-on insurance options are available. 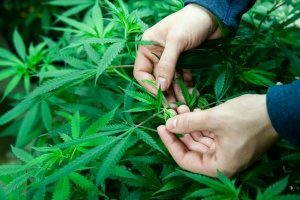 While most businesses can benefit from having liability insurance, those in the cannabis industry often have the most to gain. As the cannabis business has numerous risks, it is important to have the proper coverage to protect you from major monetary loss. Cannabis insurance is designed to protect your business in the event of various types of misfortune. Cannabis insurance may include a variety of add-on insurance types, such as general liability, product liability, crop coverage, and property insurance. With the help of a cannabis insurance broker, you can build an insurance package that best fits your company. General Liability: General liability insurance, also called business liability insurance, is a common type of coverage that protects businesses from a wide range of claims, such as property damage, bodily injury, personal injury, and similar claims that may arise from business operations. While general liability insurance does cover a wide range of claims, it does have some exclusions. For example, general liability does not usually cover employee injuries, punitive damages, auto accidents, intentional acts, workmanship, and professional errors. Product Liability: Product liability coverage protects businesses against claims of property damage or personal injury caused by products that were supplied or sold through your business. With product liability, you will not be responsible for paying certain court and legal fees if the claim should go forward with legal proceedings. Product liability is recommended for any business that sells or supplies products, even products that are typically deemed to be entirely safe. 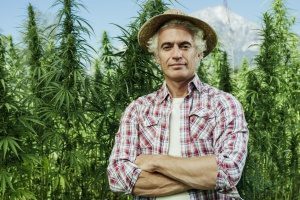 Crop Coverage: Crop coverage helps insure the risk of a cannabis growing business by protecting both indoor and greenhouse growers from damage to cannabis crop throughout its lifecycle, from seed to flowering plant. Damage incurred from fire, wind, rain, hail, or theft that results in a loss of crop will be insured at the value of the cannabis plant during its particular stage in the growth cycle. Workers Compensation: If you have employees that work for you, workers compensation insurance is a must. Employers are legally obligated to assure that their workplace is a safe environment for workers. When accidents do happen, it is important to have the proper coverage for any employee injuries or property damage that may have occurred. Workers compensation insurance is designed to get the injured worker the medical care he or she needs, while also providing compensation for loss income in some cases. Workers will typically receive compensation no matter who is found to be at fault after the investigation ends. Umbrella Insurance: Umbrella insurance acts as extra liability insurance to protect businesses from major claims. With this type of insurance, you are covered with additional liability insurance above the limits established by your other policies once they have been exhausted. Umbrella insurance may cover a range of claims, such as property damage, injuries, and certain lawsuits. Coverage may also be provided in the event that you are sued for malicious prosecution, slander, false arrest, libel, or shock or mental anguish. Equipment Breakdown: Equipment used in a business can be very costly to replace. That is why many companies rely on equipment breakdown insurance to ensure that their business remains protected in the event of an unexpected breakdown. This type of insurance may cover a range of claims, such as repairs after a covered incident, the fee associated with rush repairs, property damage liability costs, loss of business income due to broken down equipment, and the cost of mandatory inspections of equipment. Read your policy carefully to determine if other incidents are covered, such as short circuits, power surges, or motor burnouts. Cyber Liability: Along with cannabis insurance you may also want to consider cyber liability coverage. This type of insurance is designed to cover technological services or products associated with both liability and property losses. Cyber liability may result when a business uses electronic devices in their operations, such as collecting data over the web. Loss of Income: Loss of income insurance is designed to cover the cost of bills and payroll in the event that your business operations are interrupted. This can happen if your company is forced to close temporarily due to fire, vandalism, or other type of event or damage. Crime Insurance: A crime insurance policy helps meet the needs of businesses that may experience some type of crime. There are a number of crime coverage types, such as forgery or alteration coverage, employee dishonesty coverage, funds transfer fraud coverage, computer fraud coverage, counterfeit money coverage, extortion coverage, or money and securities coverage. Property Insurance: Property insurance coverage provides reimbursement to businesses in the event of theft or damage to a building. This type of insurance can cover several types of damages, such as smoke, fire, hail, wind, ice, snow, or lightening. Depending on the policy, it may also provide some amount of liability coverage if someone other than the property owner becomes injured while on the property. Property insurance policies do not normally cover water damage caused by floods, drain backups, tsunamis, sewer backups, or standing water. Cannabis insurance is a must-have for businesses in the high-risk cannabis industry. However, having just a single insurance policy may not be sufficient. It can be beneficial to have a variety of insurance add-ons to ensure that your business is properly protected against all types of claims. For more information about cannabis insurance or to acquire a cannabis insurance policy, contact a professional cannabis insurance broker.